Age Concern Hamilton is part of the Age Concern New Zealand network of 34 councils throughout New Zealand. Age Concern Hamilton was established in Hamilton in 1982 under the name of the Waikato Older People's Welfare Council. It became an incorporated society in 1986 with the name Hamilton Age Concern Council Inc and in 1996 was renamed as Age Concern Hamilton Inc (HN/325269). Age Concern Hamilton Inc became a registered charity on 12 March 2008 (Regn # CC21730) under the Charities Act 2006. 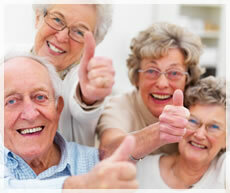 Age Concern is a community based not-for-profit organisation dedicated to enhancing quality of life for older people. Each council offers a variety of services and information to help meet the needs of older people, families and communities in their area. We are grateful to our funders and supporters. Age Concern Hamilton relies on membership subscriptions as part of its funding base. Membership gives you access to many resources and invitations to gatherings, seminars and much more. Training courses for care staff in residential facilities and for those who work in the community, delivered at venues across the Waikato. There are five basic courses each lasting a half day, delivered at a very reasonable cost. Don’t Wait ‘Til You’re Eighty Matey is developed by Age Concern Hamilton to act as a catalyst for people interested in designing a great older age for themselves. By asking questions, creating discussion and reinforcing key messages, participants can be inspired and motivated to take action towards ensuring a vibrant and exciting period in their lives.